Olympic Boulevard becomes a thriving marketplace on Saturdays and Sundays. All sorts of things are on sale, from dried chiles to piñatas, but the food stands are what attracted me this weekend. I’ve seen blue corn tortillas and quesadillas in Mexico, but never had the chance to try them, so this was my opportunity. This was a family-run operation, with mom doing the cooking, and the kids keeping the operation running smoothly.The choices were rather exotic, including pig’s blood and squash flowers, but I was a little more conservative, ordering my quesadilla with shredded cheese, cecina (paper-thin slices of marinated beef) and huitlacoche, the highly-prized corn fungus delicacy. Mom made the tortilla from blue masa and tossed it right onto the grill, and when it was done, it was hot enough to hurt my fingers. 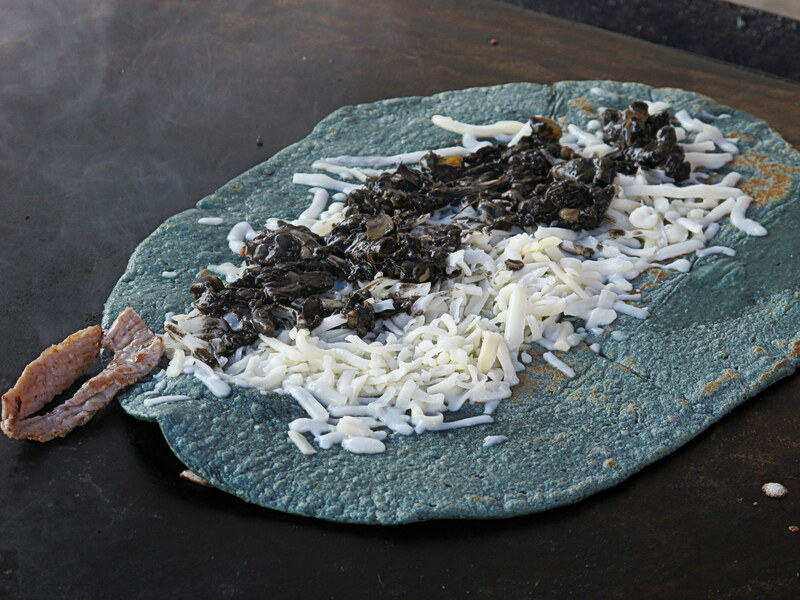 The depth of flavor of the heavy blue tortilla was remarkable, the toasted corn flavor balancing the fruity corn fungus flavor of the huitlacoche. A dash of red salsa and a grilled green onion made it a perfect meal. This entry was posted in Food! 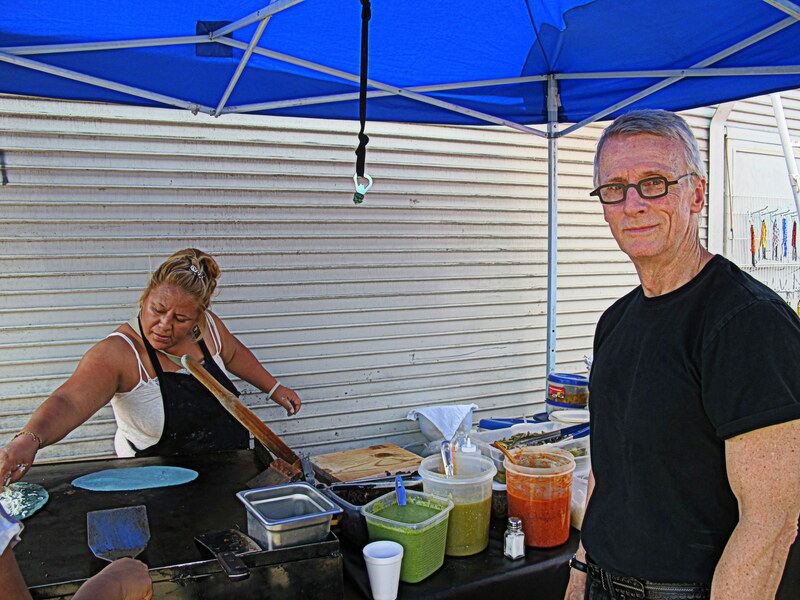 and tagged blue corn tortillas, cecina, huitlacoche, Los Angeles street food, Mexican Food by brucecritchley. Bookmark the permalink.